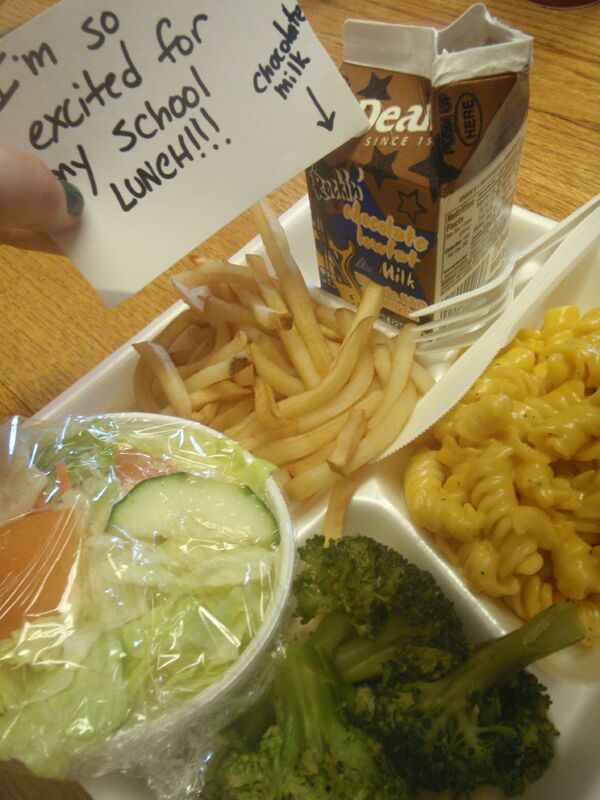 Contents: Pasta with cheese sauce, broccoli, salad, chocolate milk, and fries. Notes: Pasta and fries? Carb overload. Not the best looking veggies, but there are two servings. The vegetables look like the cafeteria lady dumped them into the meal out of obligation, just to say they're being healthy. But substantial enough, I would say.